Careena Fenton performs in character as Miss Sylvia Sceptre. Sylvia's performance combines storytelling with magic, blending ghost stories and illusions in spellbinding enchantment. Imagine a Victorian drawing room. The candles are lit, the guests are hushed, and Miss Sylvia Sceptre takes centre-stage. 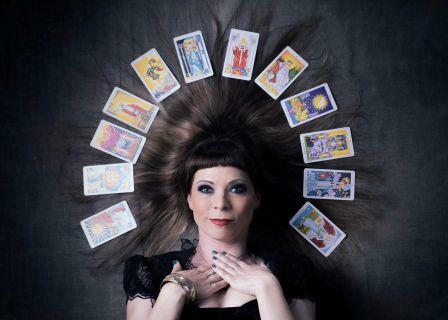 Through the mystical arts of magic, drama & storytelling, Sylvia recreates the thrills & intrigue of the séance parlour in an immersive theatrical experience most appropriate for an English speaking audience. The show is best suited to intimate venues, preferably after dark! 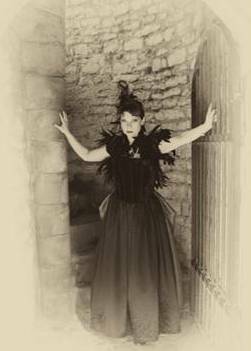 Sylvia’s act is perfect for Cabarets, Steampunk events and Ghost Evenings and masquerade balls. It has a distinct Steampunk and Neo Victorian flavour, whilst performing cutting edge magical entertainment. To delight, intrigue and entertain. Sylvia has studied the Esoteric Art of reading the beautiful Tarot Cards and can provide astoundingly accurate and insightful readings.